Click on the kitten image or refresh the page to see another cute kitten photo! 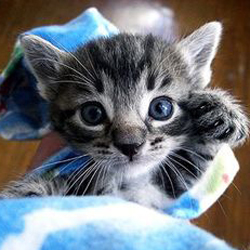 Welcome to The Cutest Kitten photo gallery. If you prefer to simply watch cute kitten photos rather than voting a set of two cute kitten pics like in the cutest kitten battle, this is the page for you. Here you can find a database with thousands of cute kitten photos and pics. Kitty and cats lovers will surely enjoy to see so many pictures of funny, lovable and cuddly kittens. 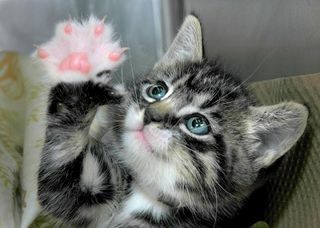 Every time you refresh the page, a new photo of a cute kitten will be randomly pulled up from our kitty image database. In order to view a new kitten pic, simply click on the kitten photo being showed or refresh the page using the link provided below the image. Do not wait further, satisfy your desire for cuddly kitties by watching the cutest kitten pics... lots of cute kitten pics!